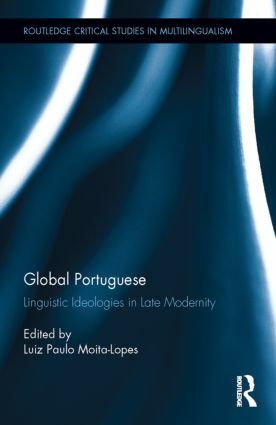 This book aims at deconstructing and problematizing linguistic ideologies related to Portuguese in late modernity and questioning the theoretical presuppositions which have led us to call Portuguese ‘a language.’ Such an endeavor is crucial when we know that Portuguese is a language which is increasingly internationalized, used as the official language in four continents (in ten countries) and which has come to play a relevant role in the so-called linguistic market on the basis of the geopolitical transformations in a multipolar world. The book covers a wide range of social, political and historical contexts in which ‘Portuguese’ is used (in Brazil, Canada, East-Timor, England, Portugal, Mozambique and Uruguay), and considers diverse linguistic practices. Through this critique, contributors chart new directions for research on language ideologies and language practices (including research related to Portuguese and to other ‘languages’) and consider ways of developing new conceptual compasses that are better attuned to the sociolinguistic realities of the late modern era, in which people, texts and languages are increasingly in movement through national borders and those of digital networks of communication. Luiz Paulo Moita-Lopes is Professor of Applied Linguistics at Federal University of Rio de Janeiro and a Researcher of the Brazilian National Council for Scientific and Technological Development. Routledge Critical Studies in Multilingualism is devoted to the publishing of original research, of global scope and relevance, which incorporates critical and post-structuralist perspectives. The series also seeks to reflect different strands of empirical work which are interpretive, ethnographic and multimodal in nature and which embrace new epistemologies and new research methods.